Hyeon-ho “Rangchu” Jeong is the new Tekken 7 champion after winning the Tekken World Tour finals over the weekend at an event in Amsterdam. His victory was the culmination of a year’s worth of competition, but at times it felt like he was fighting against history and even his own character en route to earning his crown. South Korean upstart Rangchu didn’t win any of the major tournaments along the way to his world title, but instead earned his spot at the grand finals thanks to a handful of commendable performances at events like Taiwan Challenger, where he finished second behind Japanese veteran Takumi “Noroma” Hamasaki. 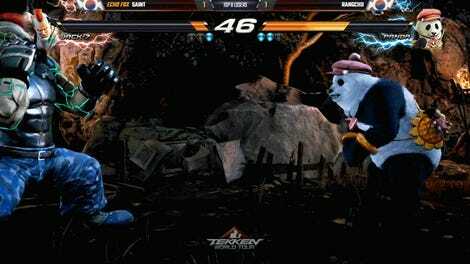 He has, however, won support from Tekken fans thanks to his chosen character, the adorable Panda. This ursine fighter first debuted in Tekken 3 as a palette swap of Kuma, a grizzly bear that learned martial arts from series antagonist Heihachi Mishima. Since then, Panda has slowly been fleshed out into her own unique character, and now even sports a cute outfit complete with a plush doll of close friend Ling Xiaoyu. Panda is far from a common sight on the competitive circuit for the simple reason that she’s not very good. Her damage output is on the low side, her movement options are poor, and opponents are often able to beat her down with more deadly, character-specific combos thanks to her large frame. It would probably be a step too far to call her a joke character like Street Fighter’s Dan Hibiki, but she’s often treated as such due to a lack of representation in high-level play. Rangchu’s Panda can, at times, be immaculate, but in fighting game competition, character loyalty can only get you so far. As such, he’s taken to using additional characters to cover matchups that may be too much for the bear to overcome on her own. 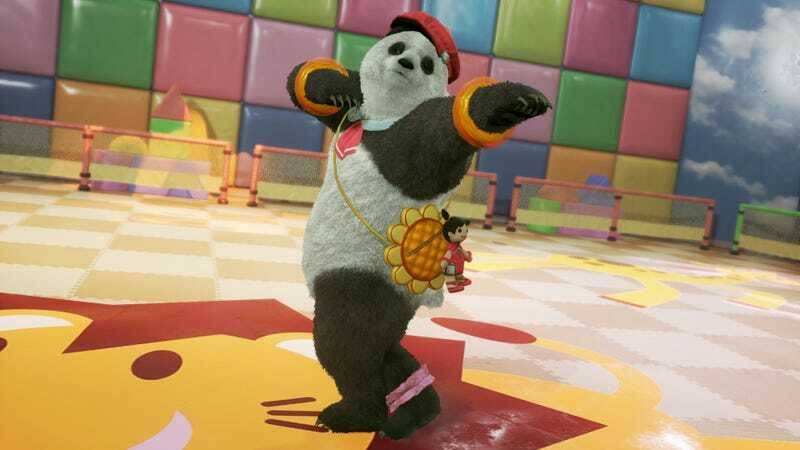 Panda remained Rangchu’s main character during the Tekken World Tour finals, but whenever he would make the switch to backups like Kuma, Geese Howard, and Feng Wei, he lost. Because of that, it wasn’t much of a surprise to see Rangchu stick with Panda throughout his final stretch of matches. After losing his first match, Rangchu made a comeback through the losers bracket, dropping fellow Korean powerhouses Sang-hyun “Jeondding” Jeon, Sung-ho “Chanel” Kang, and Jae-min “Knee” Bae in rapid succession. His losers finals match against Knee was poignant in that it kept Knee from getting his rematch against Byeong-mun “Qudans” Son in grand finals. Qudans, who won the Tekken World Tour finals last year, famously credits Knee with bringing him back to competition after his father’s death, and many were hoping to see the training partners face off in the championship match. The odds were stacked against Rangchu as he sat down to face Qudans in grand finals. Coming from the losers bracket using a relatively weak character against one of the Tekken community’s most veteran competitors? That said, Rangchu still looked confident. The absurdity of a panda going toe-to-toe with Devil Jin, a super edgy version of series protagonist Jin Kazama, seemed to never cross his mind as he challenged Qudans. By using Panda’s long-range swipes and pokes, Rangchu was able to consistently punish his opponent’s errant attacks, eventually resetting the bracket with a clear 3-1 victory. The second set was much of the same. Rangchu played like a man possessed, pushing Qudans around the stage with the cutely-dressed Panda as if she was the best character in the game. The crowd packed tightly into Theater Amsterdam could be heard cheering for the young player with every hit he landed. Even when Qudans managed to gain the upper-hand, Rangchu persevered, stealing round after round until the job was done. It wouldn’t be a stretch to say that Rangchu won by sheer force of will, staying in Qudans’s face and daring him to do something about it. After four more games, he had notched another 3-1 win onto his record, finally becoming the Tekken World Tour champion. Spectators, both in the venue and online, went nuts.